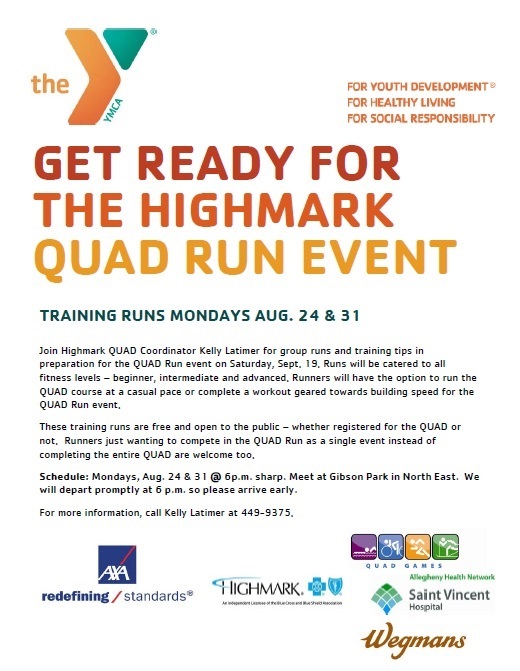 Join Highmark QUAD Coordinator Kelly Latimer for group training runs to prepare for the 2015 QUAD Run on September 19. Runs will be catered to all fitness level – beginner, intermediate and advanced. 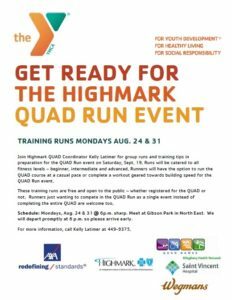 Runners will have the option to run the QUAD course at a casual pace or complete a workout geared towards building speed for the QUAD Run event.